Outdoor Solar Lights by free-light - No wires... just add sun! 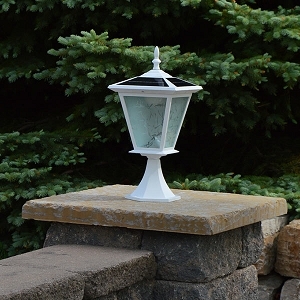 Column Mounted Solar Light - Galaxy (White). The Galaxy (White) offers lots of free natural white solar light from a very small footprint. 9" square, 17.75" tall. Easy to install with just 2 screws. Also comes in black. 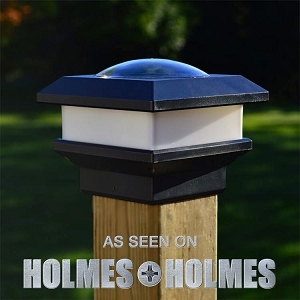 This is a versatile, high performance, solar light for entrance pillars, brick columns and electrical posts. It can easily replace standard electrical fixtures (on posts) that fail. Just remove the old light, cap the wires, and install your new free-light. So easy! Automatically turns on at night and stays on for up to 12 hours. Browse all the column, pillar and post free-light products and light up your life! 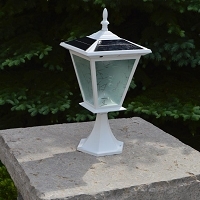 All in One Driveway/Courtyard Solar Light - RA20. 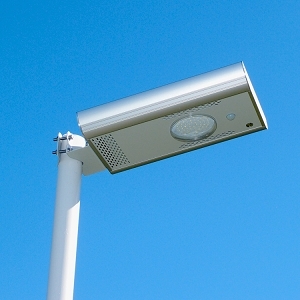 The RA20 produces over 40' of solar light all night long. Where you do need more light? 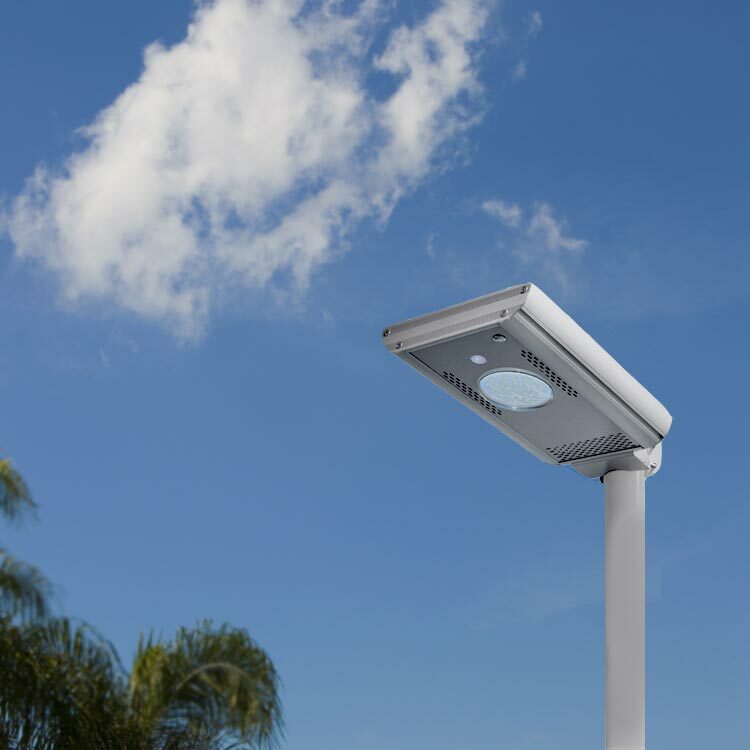 The RA20 provides dusk to dawn solar light in all seasons. RA20 stays on at 30% brightness until motion is detected. Then it goes to full brightness for 60 seconds. Trust free-light to offer all the light you need when you need it. You can bypass the motion sensor and set for full brightness for 5 hours each night. 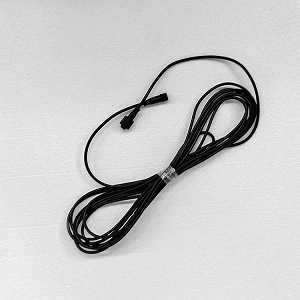 Recommended mounting height is 10-11' to broadcast 40' of light. 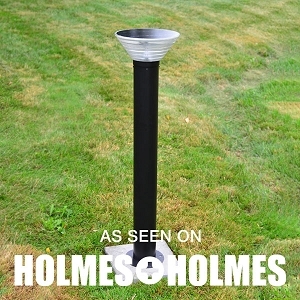 See all the premium quality outdoor Courtyard Solar Lights. Pathway Solar Light - Saturn. At just over 39" our Saturn Pathway Solar Light stands tall and produces 30' of beautiful free-light! Made of stainless steel, it's durable and weather resistant. Imagine the look of Saturn flanking your entry or walkway or highlighting a pool or other water feature. Saturn's uses are endless. Great for the cottage, dock, deck, backyard, or front. Will instantly beautify your space. Super easy to install. It automatically goes on at night and turns off 5 hours later. Trust your friends at free-light to design a 1M tall high performance solar light! Think of the savings on your electricity bills! Ready to see more Pathway, Driveway, Walkway solar lights from free-light? Garden Deck Solar Spotlight. 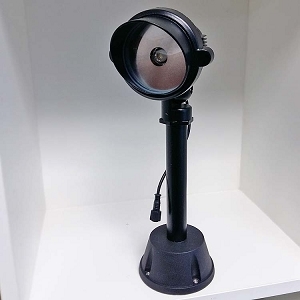 Say hello to the free-light stand-alone Spotlight! 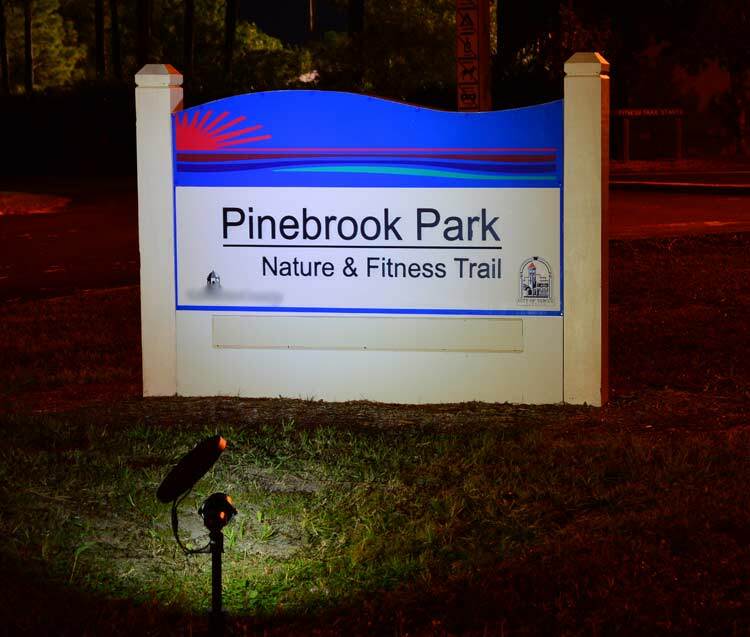 You can highlight or up-light trees, name signs, pathways, boathouses, cottages, walking trails and more. Do you have a magnificent door, wall, rock, or water feature that you'd like to draw attention to? Now's your chance. And best of all, you can highlight it all year long! The over-sized solar panel can be rotated side to side and the arm bent up or down to get the best possible collection to charge the battery. Fully charges with 4.5 hours of direct sunshine. There is also an optional extension so Spotlight will stand above grass or weeds. Step into the light! All the Garden Deck Solar Lights are waiting for you. Fence Post Solar Light Caps - PCL4. New and Improved! Made especially for a 4" x 4" post, our solar lights for fence posts are reliable and long lasting, bright natural white light. These aren't the dim little solar lights you've seen around. These are free-light solar lights the way they should be. 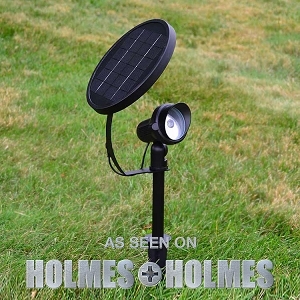 Our premium solar post cap light is built to last - and we guarantee it will. Once charged, the solar light has more than three nights of storage charge in the event of bad weather. Actual mounting size is 3.5" x 3.5" for use on a standard 4 x 4" finished wood post. There are different styles and sizes available. Browse them all here! Happy Thanksgiving to our Canadian customers on October 9th! 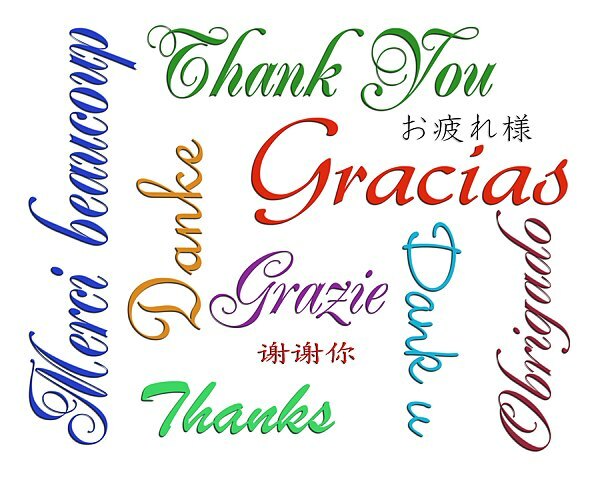 We are grateful and sincerely appreciative of your support.